In this non-traditional approach to totem making, we will use polymer clay to create our totems. A totem is an object representing family kinship and can also be an entity that watches over and assists people. 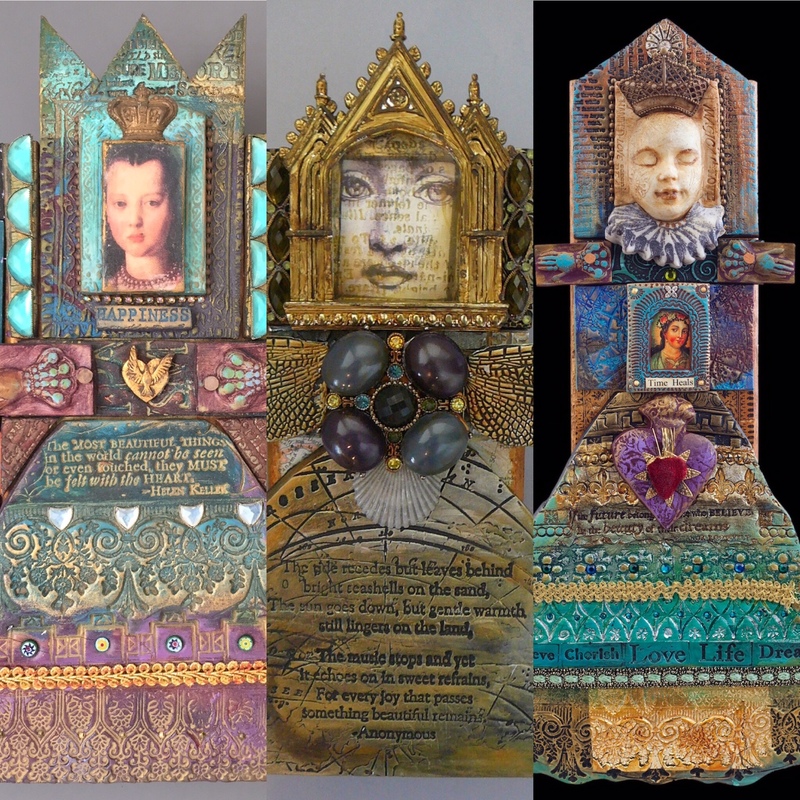 A myriad of mixed media techniques will be employed to create wall sculptures that explore personal myths and magic. Some of these polymer clay techniques include rubber stamping, painting, layering clay, collage, transfers, metal leaf and embedding objects into clay. Six small packages of either Sculpey III or Premo polymer clay, with three being the same color and the other two of your choosing AND one package of white or ivory clay (for transfers). Make sure the clay is somewhat soft before buying it by pressing a thumb into it. If it feels rock hard, don’t buy it! Please condition clay before class by kneading it until soft and rolling into balls, then place in a baggie to store it. Collage sheet images with preferred faces-I will bring lots of “female” figures but if you would like animals or men, bring them!